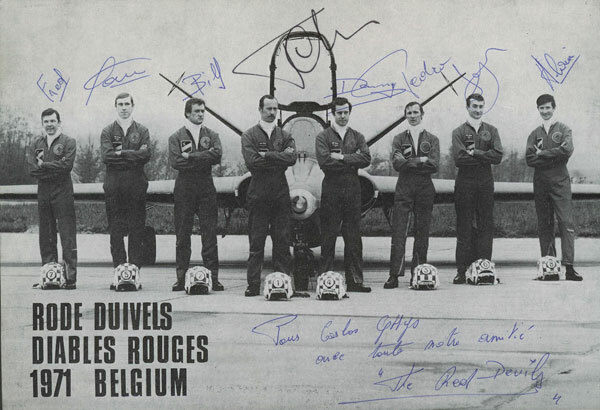 ﻿ "photographs of Carlos Ghys´ biography, part 4 = «SAFFRAANBERG»"
All pilots of the demonstration team «Red Devils» posing in front of a Fouga Magister. 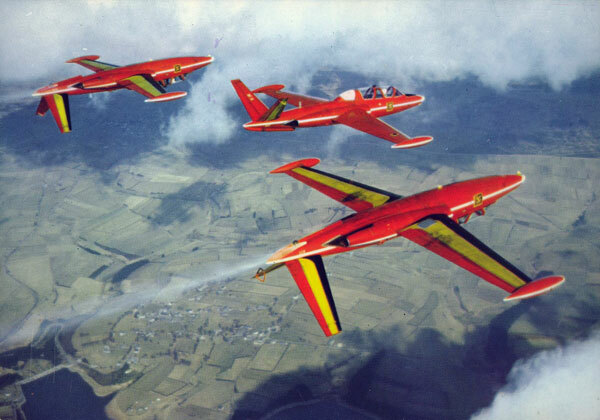 Formation flight in their Fouga Magister. 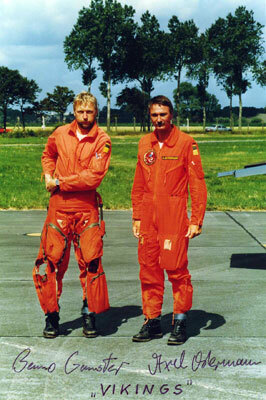 ADC Palmer de Vlieger (left) and Captain Steve Nuyts. 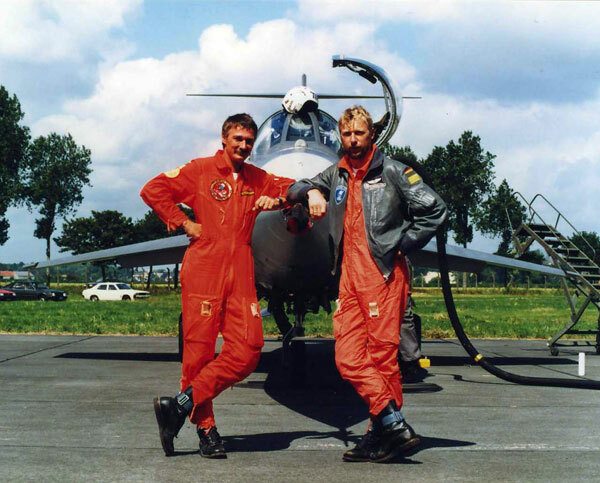 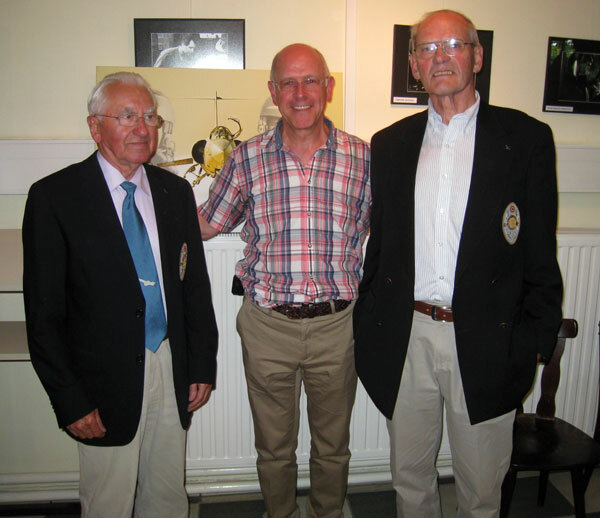 Steve Nuyts and Palmer de Vlieger were two stars of aerobatics at high speed! 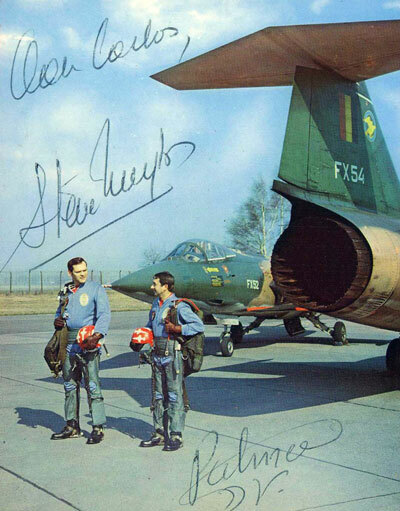 Low level and at 800 km/h these two pilots maneuver their F 104 G Starfighters with such an ability and self-control, they succeeded in crossing each other exactly on a well determined point and this in complete synchronisation. 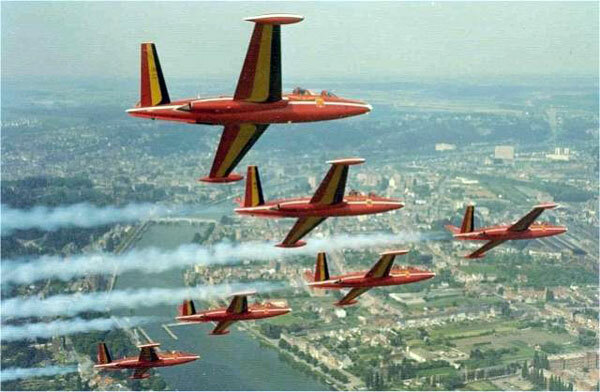 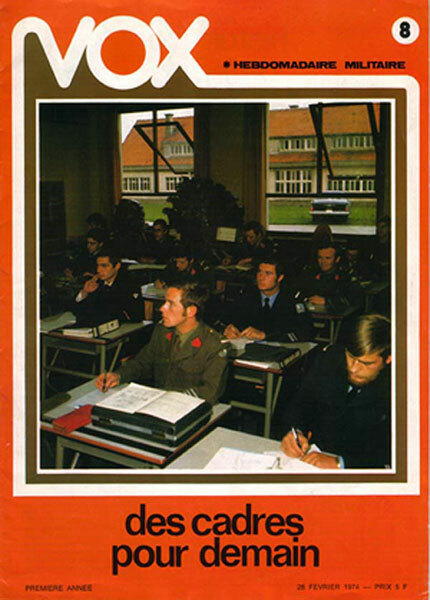 They started practising at the end of 1968 and gave their first display at Brustem on May 14th 1969. 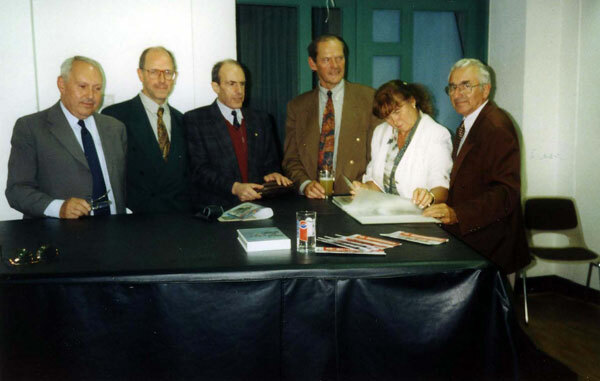 Since that time they participated in most of the important national and international meetings. 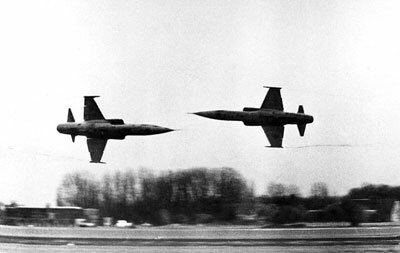 In spite of the high "G" forces due to high-speed maneuvring, they succeeded in keeping their display as close as possible to the spectators. 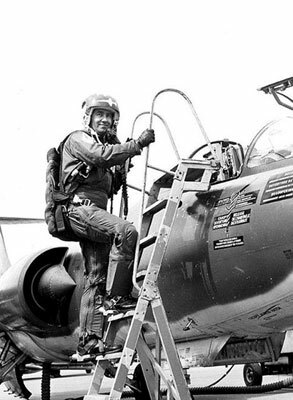 it was not all that easy to maintain both Lockheed F-104G's within the perimeter of an airfield and that in the pre electric-jet times it was a very demanding job needing a whole lot of precision and courage. 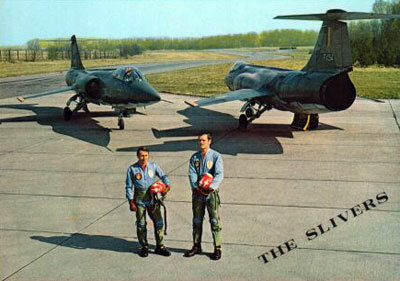 «The Slivers» posing with Carlos and his son Mathias. 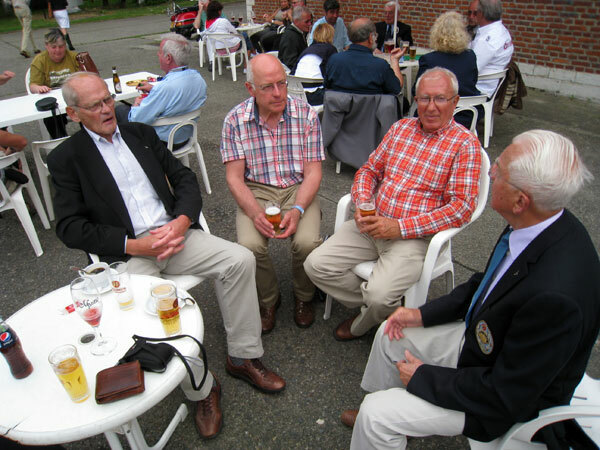 Carlos and his uncle Guy (second and third from left) meet with Steve Nuyts and Palmer de Vlieger after the meeting. 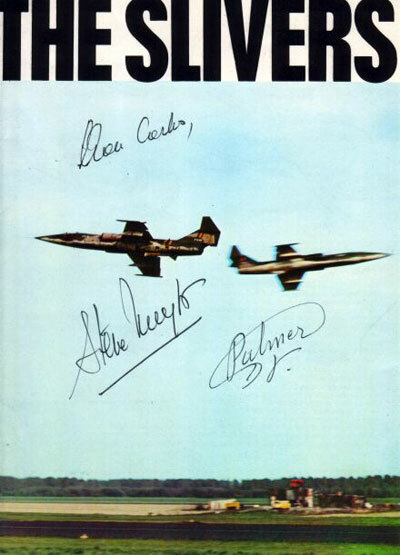 the SLIVERS, the worlds first and most renowned display team on the legendary Lockheed F-104 STARFIGHTER. 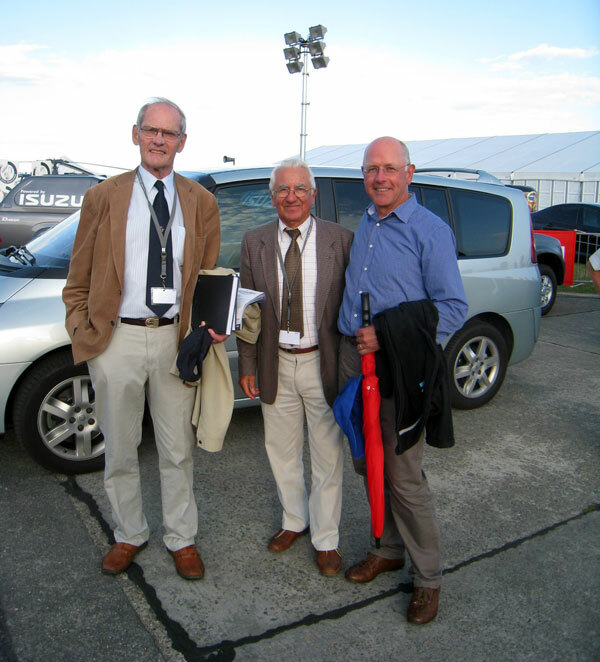 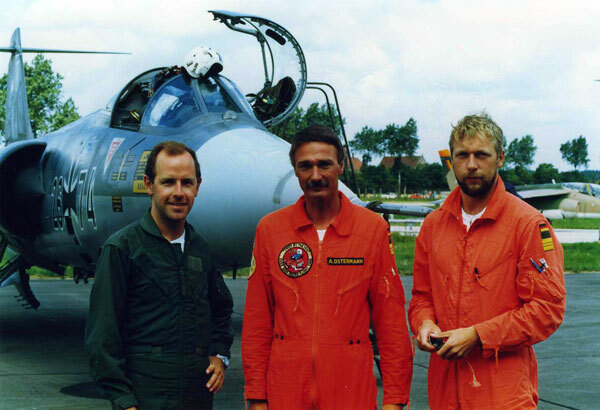 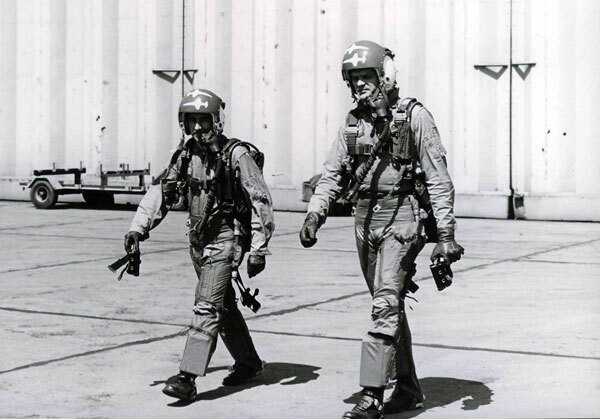 Team leader Col. STEVE NUYTS (right), his wingman PALMER DE VLIEGER (left) and Crew chief RAYMOND DELESTINNE. 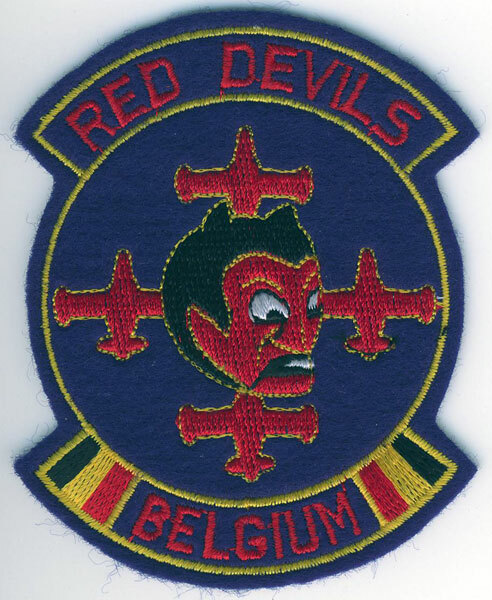 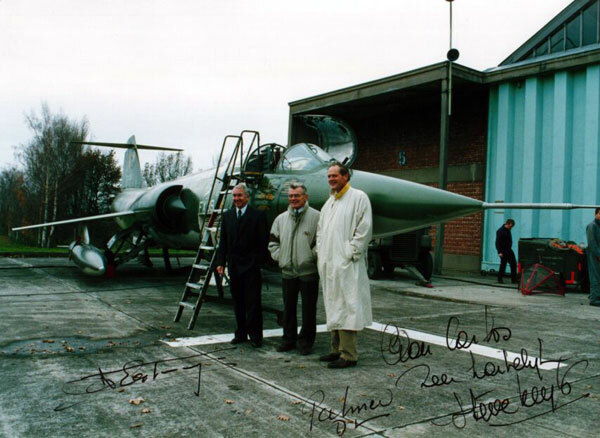 Carlos meets again with his heroes at BEVEKOM AIR BASE, former home of 350 Squadron and "the Slivers". 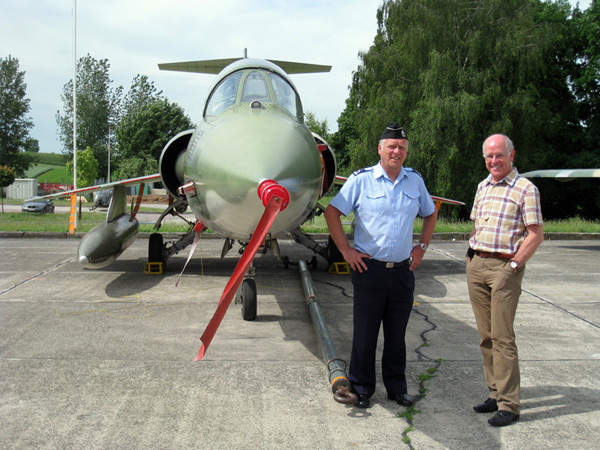 German Starfighter display team «The VIKINGS». 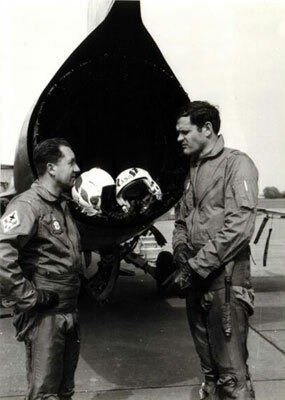 Kapitänleutnant Axel Ostermann (left) and Oberleutnant zur See Benno Ganster. 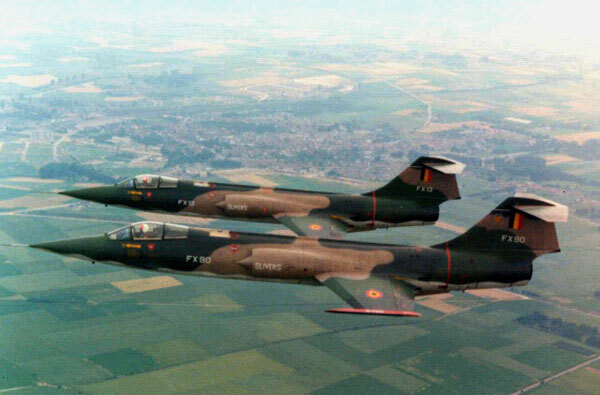 In the late 1970 the German navy decided to establish a two-ship flight demonstration team to display the navy's primary weaponsystem F-104G Starfighter and it's outstanding abilities. 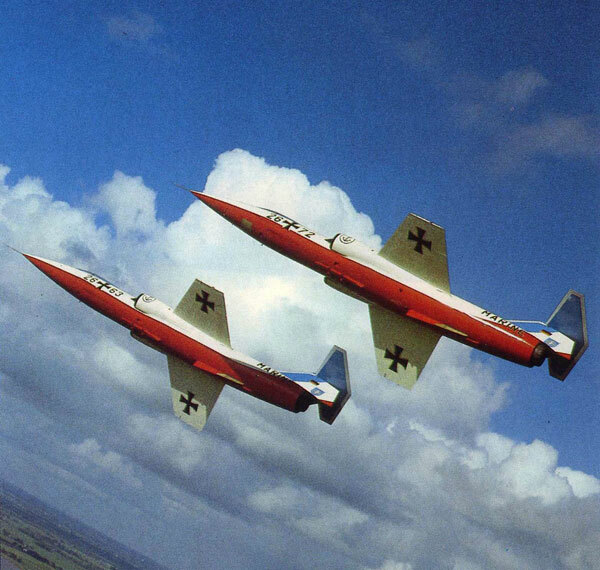 The Jagel based MFG 1 was first to attend airshows, while MFG 2 followed soon after. 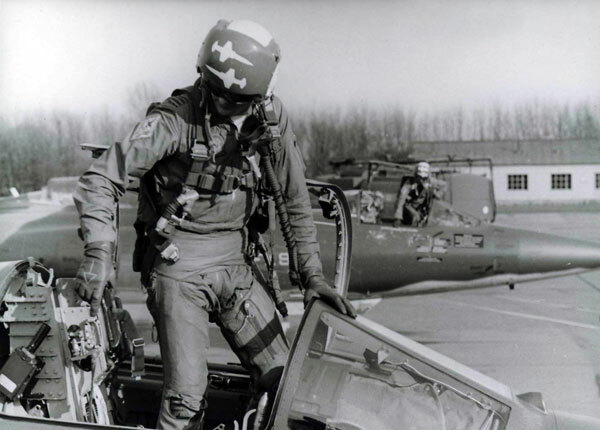 Both air wing's displays cheered the crowds with their stunning displays home and abroad. 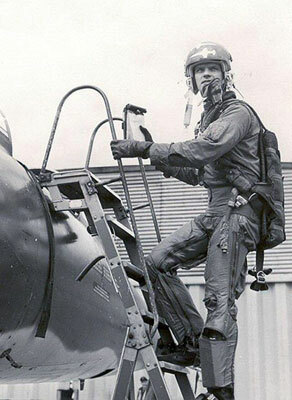 Naval air demonstration came to a sudden end, when Kapitänleutnant Manfred Stürmer of MFG 1 crashed on approach to Yeovilton/GB on 03. august 1979. 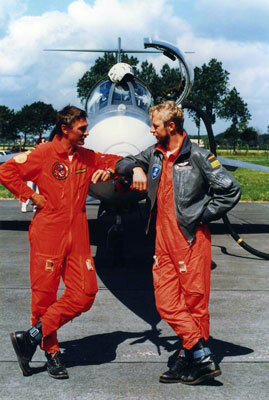 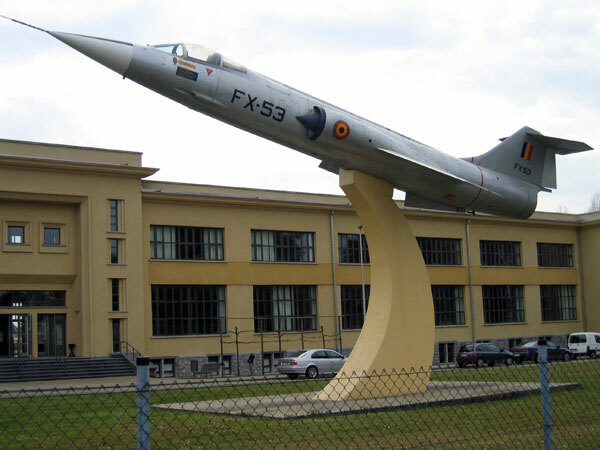 It took almost four years before a new Starfighter duo was established on the occasion of the Eggebeck Airshow in 1983. 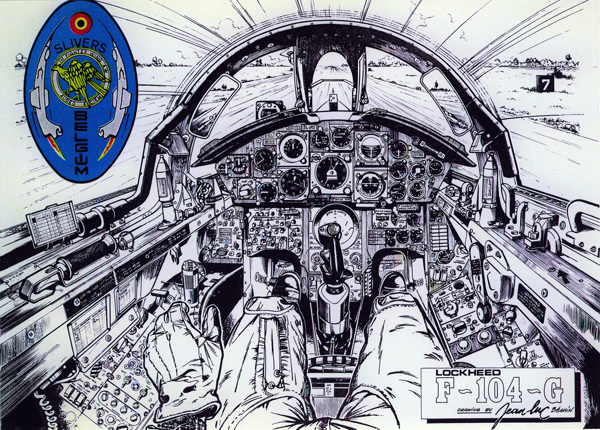 As MFG 1 was already converting to the Panavia Tornado, the honors belonged to the Eggebeck based MFG 2 to created the "Vikings". 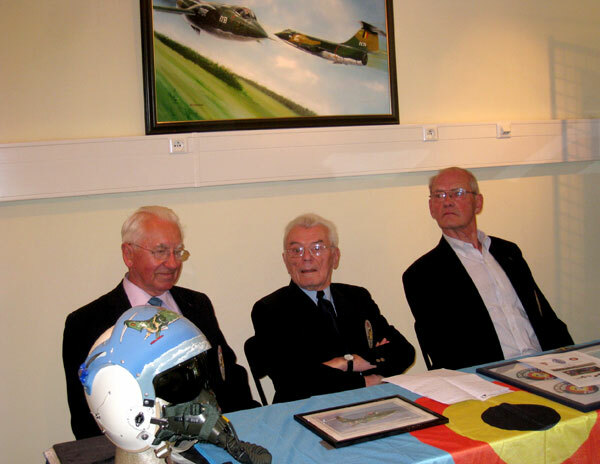 The new team consisted of Korvettenkapitän Ingomar Suhr (lead), Kapitänleutnant Manfred Schulze (number two) and Korvettenkapitän Lothar Martin (spare pilot). 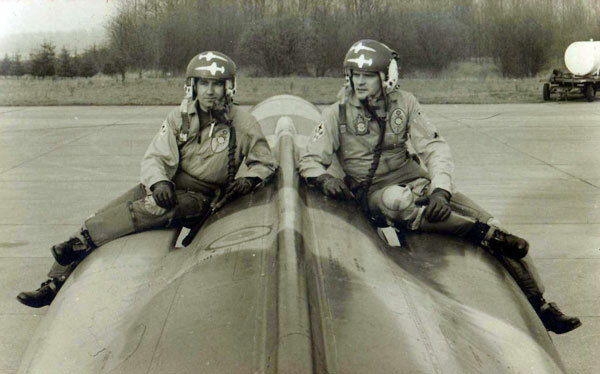 Suhr and Martin had already been part of the previous display teams of MFG 2 before 1979. 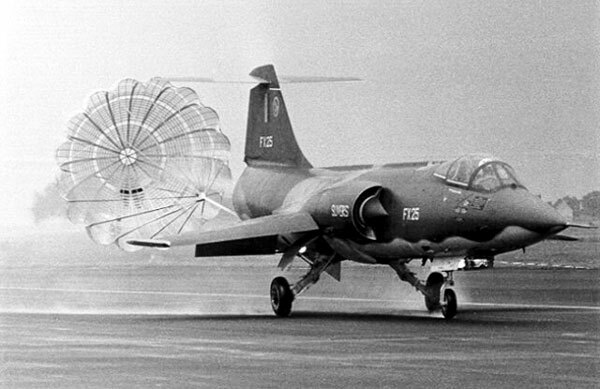 Based on the fatal accidents of other F-104 teams, the "Vikings" decided to display a series of tactical manoeuvres, which primarily consisted of horizontal movements. 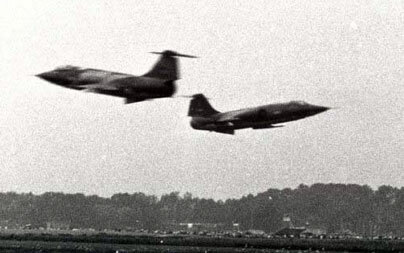 A lesson learned from previous fatal accidents of other F-104 display teams. 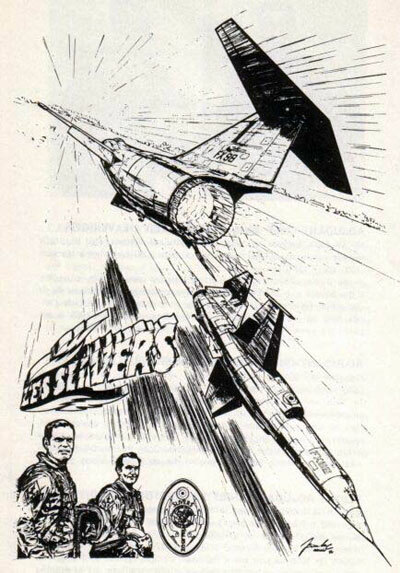 The first shows lasted a mere 8 minutes, but the length was increased to 12 minutes over the next few years. 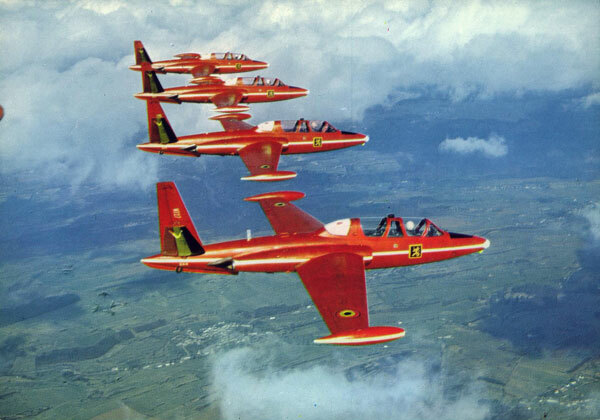 The great success of the early shows and the accident of the Canadian Star-Fighters, meant the "Vikings" had to perform far more displays than the originally planed 5 per year. 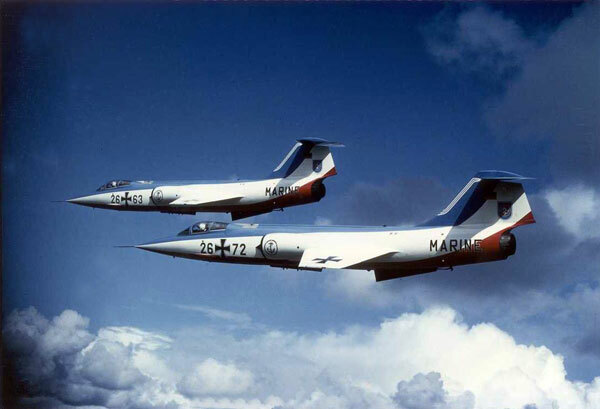 The "Vikings" appearance was so in demand by airshow organizers that the team's cadre had to extended, so two seperate formations emerged. 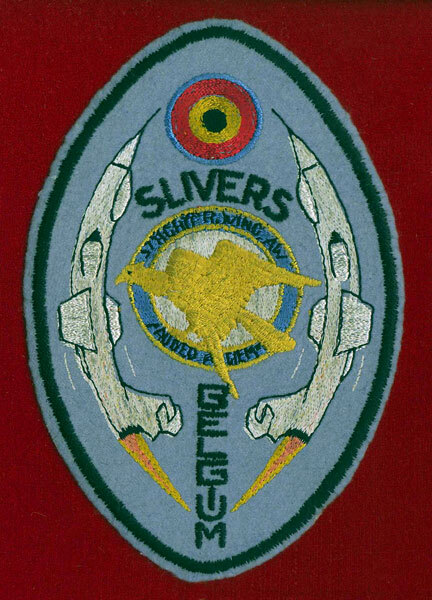 This enabled the "Vikings" to divide airshows amongst them or perform at two seperate events simultaneously. 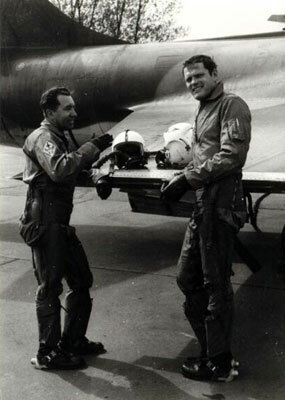 Other teammembers were: Kapitänleutnatnts Siegfried Schmidt, Hagen Haar and Axel Ostermann, Lieutenant Robert E. Hummel (an US Navy exchange pilot) and Oberleutnants zur See Dietrich König and Benno Ganster. 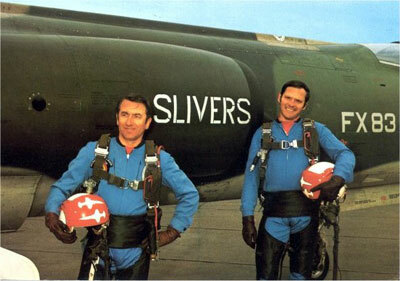 One of the climaxes in the teams history sure is their farewell-tour to North Amerika in august 1986. 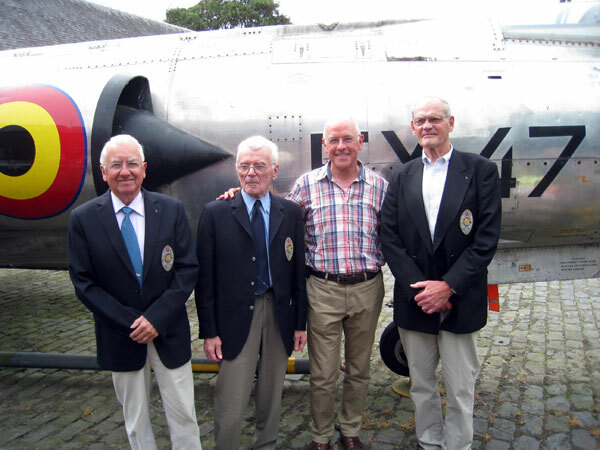 Four Starfighters crossed the atlantic to perform in several US and Canadian airshows and entertained well over half a million spectators. 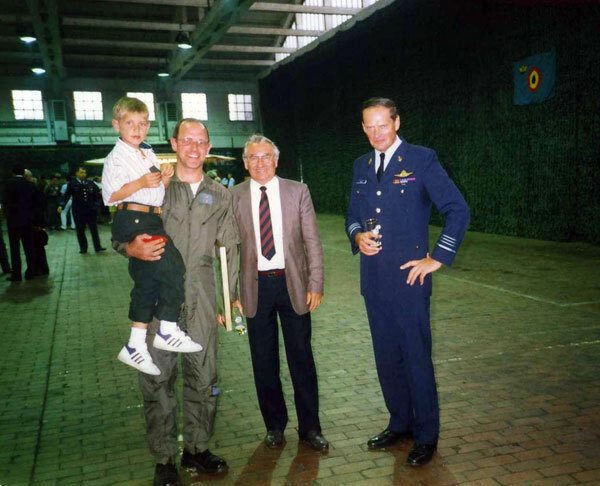 Stopover at Goose Bay 1986 Though it's existance was pretty short in regards of time - the figures are quite amazing: Between their maiden show on 14. august 1983 and the final display on 27. september 1986 (the events took place at open houses at Eggebeck, the "Vikings" homebase, and Neuburg/Donau, home of the JG 74 "Mölders") some 6 million spectators were able to enjoy more than 60 displays worldwide. 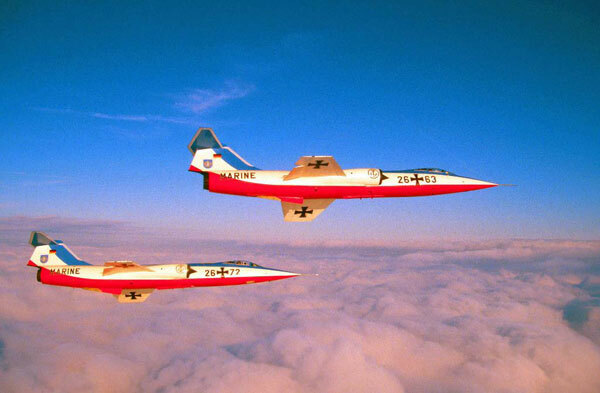 Of these display the final five were flown with a colorful paintsheme, symbolizing the colors of Schleswig-Holstein. 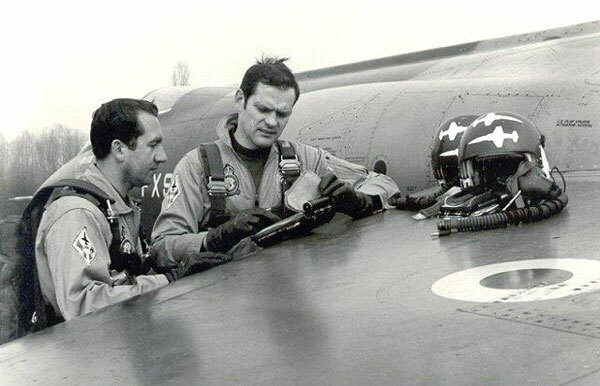 When the F-104G Starfighter was put out of operational service with the German Navy, not only the aircraft, but the "Vikings" as well disappeared from the skies. 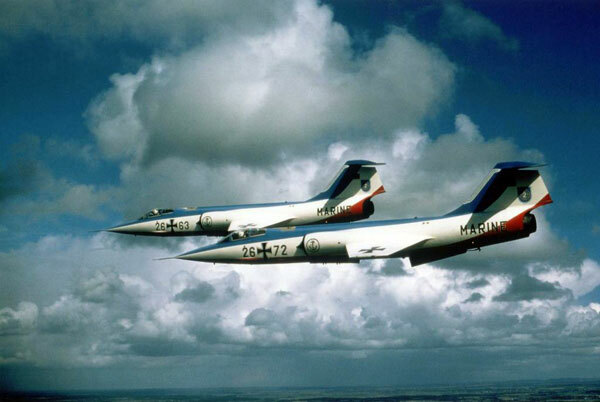 Starfighter F 104 G formation flight.